This itinerary gives you the chance to visit three must-see visitor attractions in a day: Familia Torres Winery, Montserrat and the coastal town of Sitges. 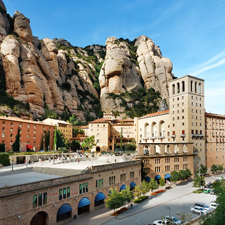 You'll leave Barcelona en route for Montserrat. 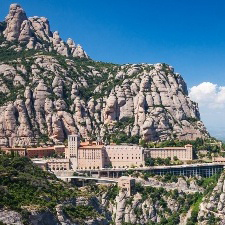 Once you arrive, you'll be able to visit the basilica that is home to the Virgin of Montserrat, the patron saint of Catalonia, and visit the audiovisual gallery to find out how the site took shape. You'll be able to sample the typical liqueurs made by the monks at the monastery and you'll have three hours' free time to have lunch and visit the area at your own pace. The experience continues at the famous bodega Familia Torres (Torres Winery) in the heart of the Penedès region. Your tour commences with an audiovisual display tracing the history of the Torres family and their wineries from their inception to the present day. 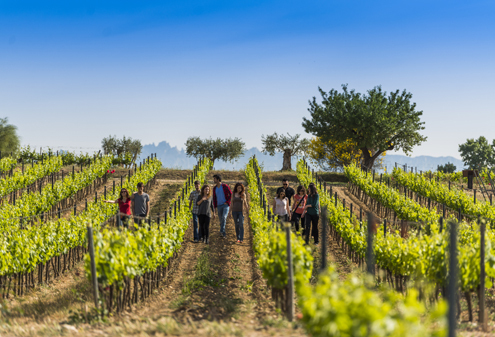 Afterwards, you'll tour the vineyards of the Mas La Plana estate on a train and find out more about the Penedès and the winery's facilities. You'll find out how wine is made and end your sensory journey with a guided tasting of two wines and a brunch. 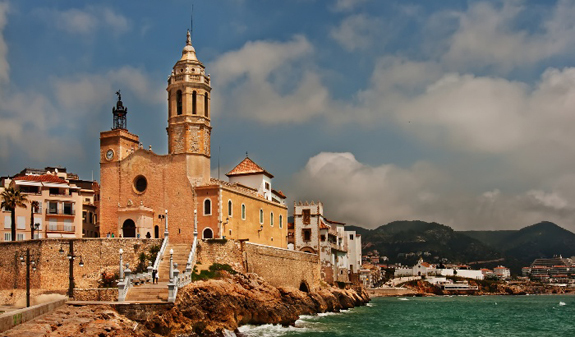 The tour ends in Sitges, one of the most beautiful seaside towns on the Catalan coast. 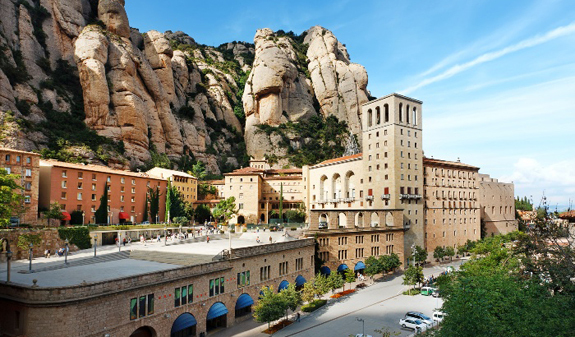 You'll visit its narrow streets and admire the whitewashed houses with your guide and explore the Indiano Trail which features the buildings associated with the Catalan families, known as indianos, who left the town in the 19th century to make their fortunes in the Americas. 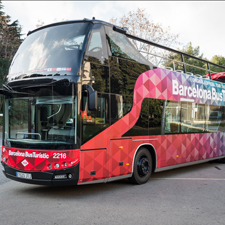 During your free time you'll be able to discover the beaches, food and shops in the town before setting off back to Barcelona. Transfer in an air-conditioned bus. 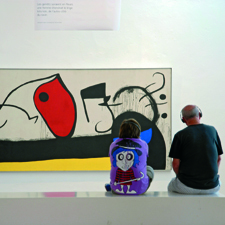 Admission to the audiovisual gallery at Montserrat. Tasting of four Montserrat liqueurs. 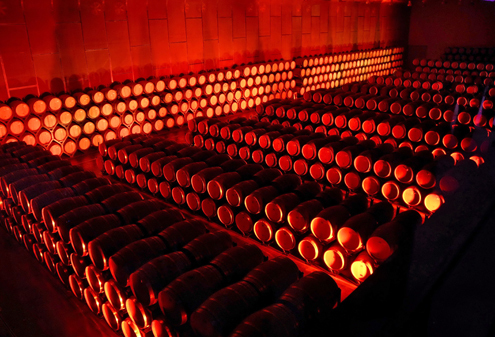 Admission to and tour of the bodega Familia Torres. Guided tasting with two glasses of wine or grape juice for the under 18s. Brunch at bodega Familia Torres. 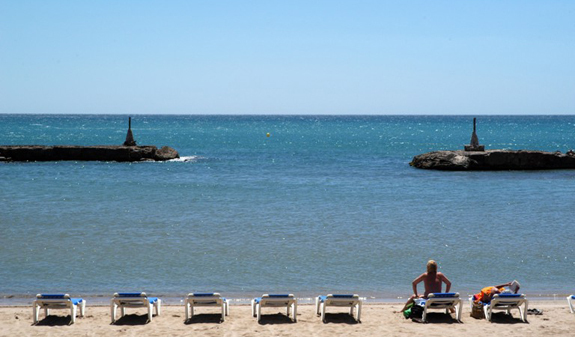 Guided walking tour of Sitges. Times: from 1st April to 31st October; Tuesday, Thursday and Saturday, at 8.15am. Meeting point: Julià Travel Office. c/ Balmes, 5. Metro: L1 and L2: Universitat stop, L1 and L3, Catalunya stop. Bus: 14 and 59. FGC: Catalunya stop. Please arrive 15 minuts before the tour commences.